Travellers are invited to embark on a galactic adventure with STAR OCEAN - THE LAST HOPE - 4K & Full HD Remaster. The prequel to the franchise is now available for the PlayStation 4 and STEAM. Developed in partnership with tri-Ace, the prequel to the original STAR OCEAN game has been remastered in full high-definition, with added 4K support and PC keyboard/mouse and controller support. The action-packed role-playing game takes players on an epic journey across the universe in an immersive story of survival. 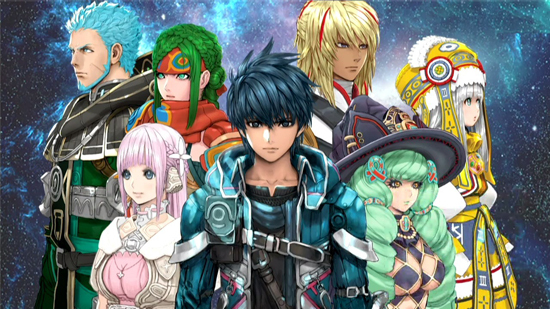 Players can enjoy quintessential STAR OCEAN features including strategic real-time combat, a deep Item Creation System, a Private Action system that explores character relationships and subplots for a richer and more rewarding story, and exhilarating Blindside battle system, which fuses evasion and offense into intense combat scenarios. STAR OCEAN - THE LAST HOPE - 4K & Full HD Remaster is now available digitally from the PlayStation Store and STEAM, and until December 12th PlayStation Plus members and STEAM users who purchase the game will receive a 10% discount. Those who purchase on STEAM will receive an exclusive downloadable mini-soundtrack during this period. Additionally, until 8th January 2018, those who purchase from the PlayStation®Store will receive an exclusive PlayStation 4 theme and 12 PlayStation Network avatars featuring the main characters. A PlayStation 4 Pro system or compatible PC is required for 4K.